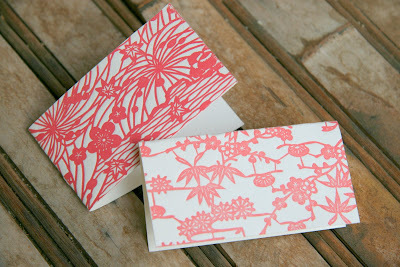 Last week, Funky Finds mentioned two of Joie Studio's cards on their blog! Check it out! Both these cards are available in my Etsy shop! I've got two Season's Greetings cards for sale right now in my Etsy shop! Joie Studio's Blooming 2008 Calendar on Decor8! Gosh! 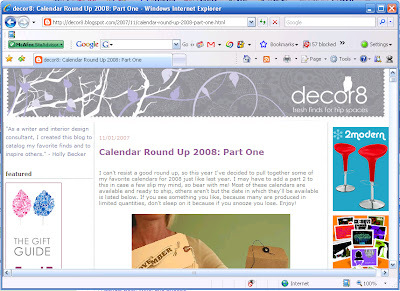 I just looked back through my archives and realized that I never blogged about being in the decor8 Calendar Round Up! 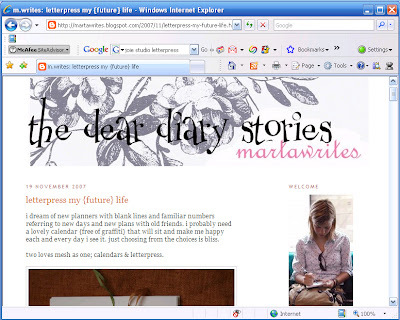 Thank you, Holly, for featuring the calendar on your awesome blog! Clover (1024 Studewood, Houston, TX 77007, 713.868.8089) has stocked Blooming 2008 calendars in the store for the holiday season. So for those of you who live in Houston, Texas, and are looking for a lovely letterpress calendar this holiday season, go to Clover to see, feel, touch, and grab one of Joie Studio's Blooming 2008 calendars! I'm finally emerging from the craft fair haze. I'm still trying to figure out whether I did well or not at the fairs. I'll post pictures later. 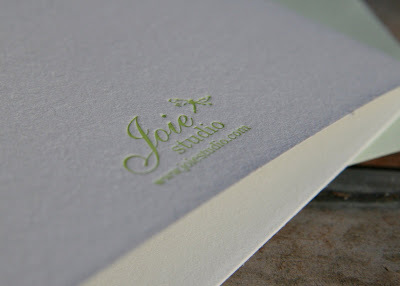 More exciting is all the online buzz Joie Studio is getting recently. Yay! 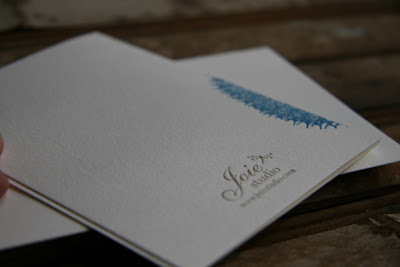 Thank you to both these blogs for featuring Joie Studio! Handmade for the Holidays Tomorrow! 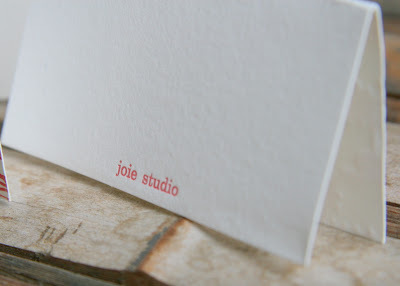 Joie Studio has Booth #2, conveniently close to one of the gift wrap tables! See you there! I don't usually post other people's items on my blog, but this is such a perfect complement to the Nice/Naughty cards, I couldn't resist! These little gift tags double as pins, so you can wear these adorable little snowmen around too! 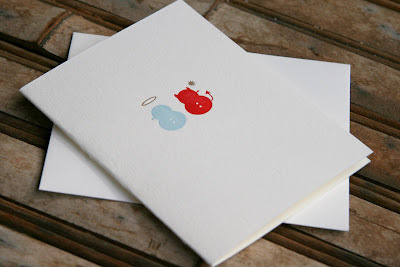 They are available from Michelle and Jeremy's Shop Toast, the lovely people who designed the Nice/Naughty cards. 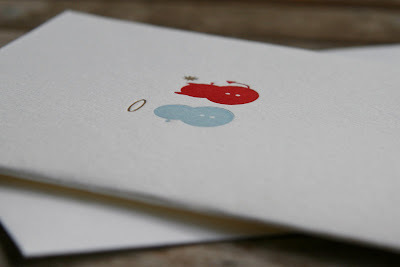 Nice/Naughty Card: An Awesome Collaboration with Shop Toast! So Michelle and I went to high school together. And life happened the way it happens. I moved to Southern California for college, Michelle stayed in Honolulu, and we lost touch. 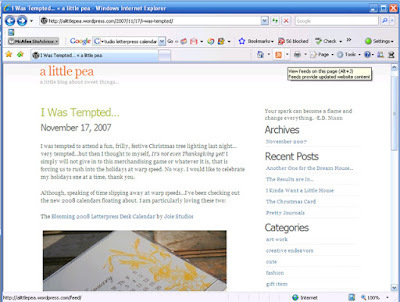 I left the world of new technologies and started Mystic Bottle and, subsequently, Joie Studio, while Michelle, a trained architect, took her design skills in a totally new direction and opened Shop Toast. We recently met up and decided to do a holiday collaboration. 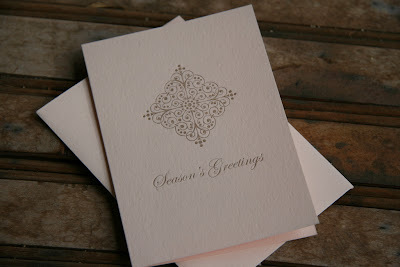 And here it is, the Nice/Naughty Holiday card designed by Shop Toast and letterpress printed by Joie Studio. There are only 200 cards available this holiday season, 100 through Joie Studio and 100 through Shop Toast. We'll both have the card in our respective shops and at craft fairs (in Los Angeles through Joie Studio, in Honolulu through Shop Toast). These cards are already available in my Etsy shop, so get them while supplies last! We're already talking about our next collaborative project, so hopefully these cards are well-received and we'll be motivated to bring you more yummy goodness like this! I'll post more pictures tonight. With my first upcoming show this Saturday, I still have so much to do, and it does NOT help that the electricity will be shut off on Wednesday, which is one of my last days to print. Luckily I have a tabletop, hand-operated press, but that means the next couple days are big printing days in the studio! 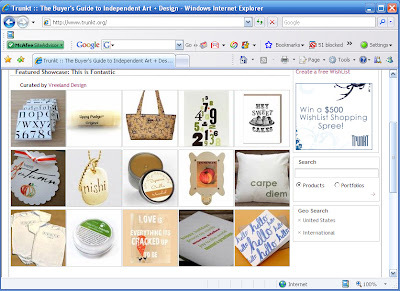 My longtime friend is helping me with an e-commerce solution, which will give Joie Studio an online shop on its own site. As much as I like Etsy, I'm pricing my items a little higher to account for all the Etsy fees, and I would much rather charge my clients and customers less! This probably will not be ready until early next year, but it's an exciting development. 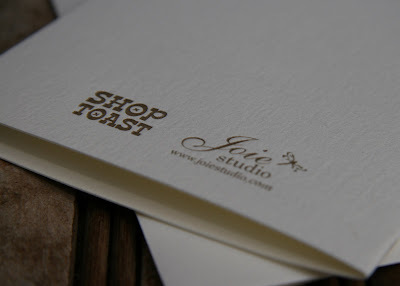 And probably one of the most exciting things in the works is a holiday collaboration with Shop Toast! 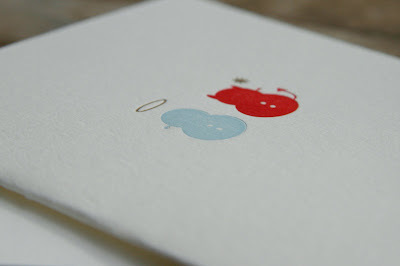 To tell you just a little about it, it's a 3 color letterpress holiday card with a "Naughty/Nice" theme. I can't wait to finish and share! 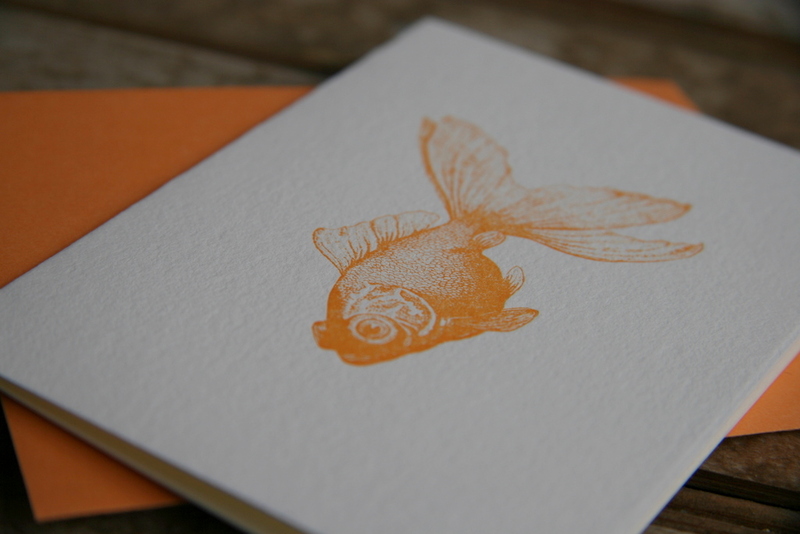 Oh, and the letterpress calendars are going fast! Get yours in my Etsy shop or email me at shop[at]joiestudio.com before they're sold out! In a change of pace, I did something not calendar or holiday related. 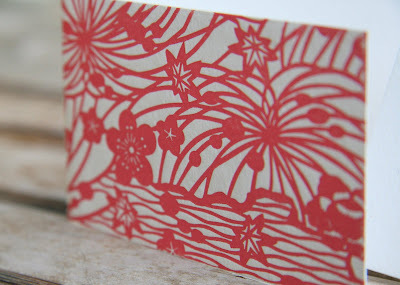 Here are some mini cards, made from some Japanese patterns I saw recently. They are so so pretty! 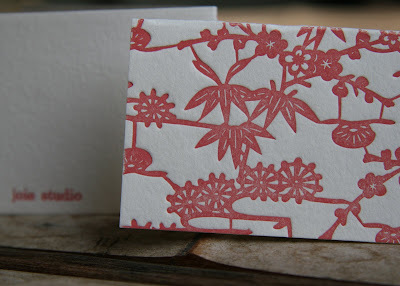 So due to all the interest in the Joie Studio Blooming 2008 Letterpress Calendar, I've decided to list it in my Etsy shop. Please note that I won't be shipping them until after November 11th, but if you do buy one, you'll definitely have one shipped to you. Joie Studio is now on Trunkt.org! Trunkt is really cool, I like it a lot. Everything on there is phenomenal. It's a free but juried portfolio site featuring independent artists. If there are any artists out there that want to apply, please list "Joie Studio" as the company that referred you so I can get credit! Anyone can make a "Wishlist" of items on Trunkt. Right now (through November 15), if you make a wishlist, you are entered to win $500 worth of Trunkt featured products. Go ahead and make yourself a Wishlist, and don't forget that Joie Studio's got a bunch of great products (hint hint, wink wink). 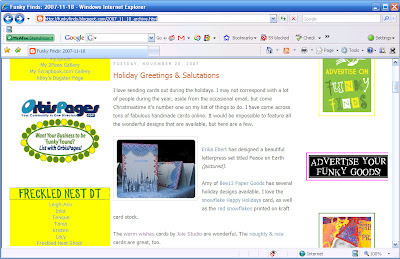 What's really cool is that the Warm Wishes card was put into a showcase, and the showcase is being featured on Trunkt's homepage! Go Trunkt! 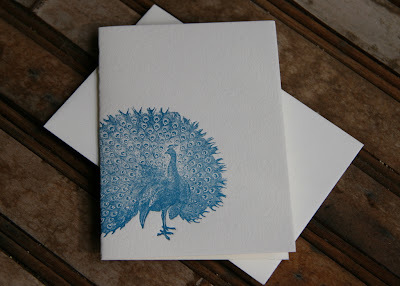 I finished packing up these beautiful holiday letterpress cards. 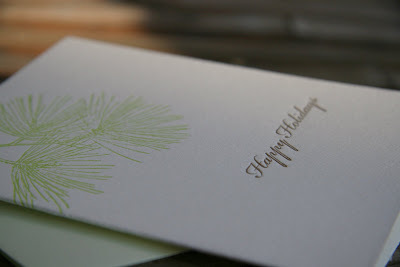 The cards are A2 (4.25" x 5.5") folded 100% luxurious, ultra-thick cotton cardstock with coordinating green envelopes. 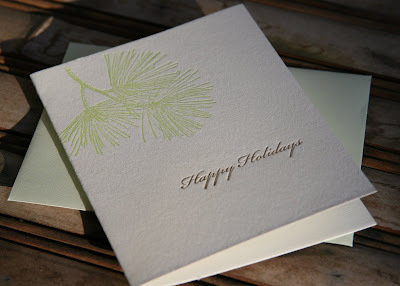 I used lime green with a metallic gold for a fantastically elegant effect. 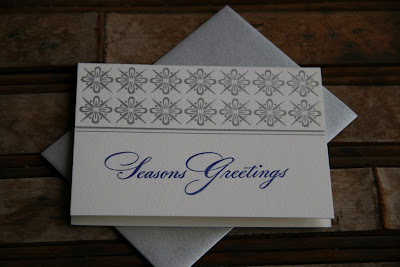 Here are more pics -- can you feel the softness of the paper just by looking at it? Cards are sold in sets of 5 for $12 (discounts on multiple sets), and they are in my Etsy shop!